Dedicated to the Kids at Snehalaya LET’ REFUSE- CHILD ABUSE! Children of our age are toiling their childhood away. Their masters are abusive and unkind. But they get lifelong bruises on their mind. Nobody to hear them scream. And happiness is just a distant dream. Craving for money when they grow old. As for money, they are shamelessly sold. They carry more than their hands can bear. As no one really does care. For them, we all must fight. And give them a future promising and bright! 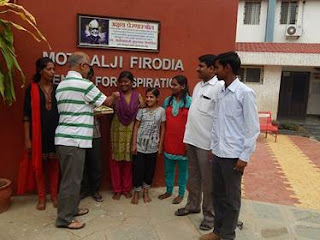 Donation of Note books to Snehalaya by ‎Babalu Laxman Gauda. Sharing you a small human interest story. ‎Babalu Laxman Gauda was in Snehalaya for small time as student. His mother Smt.Sharada Gauda is with Snehalaya as a volunteer of Snehjyot project since last 13 yrs. She is our one of the best peer educater in the red light areas. She had contributed her peace of land for Snehalaya's Balbhavan Project in santoshi Mata Nagar, Katraj in Pune. Babalu after completing his 12th, now a days doing small laborious jobs.today is Babalu's birthday. Babalu came to Snehalaya with his first income of life and contributed rupees 10,000,/- for the educational expences of the children in Snehalaya who are seeking admissions for vocational courses. What we sow,it grows naturally and benefits to our mission in a big way. 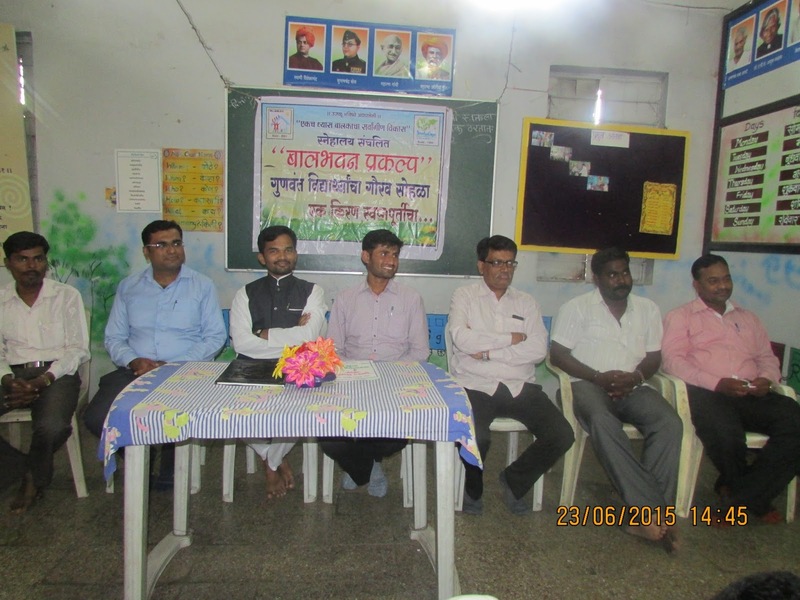 Lokesh Mehtani is a philanthropic young businessman‎ from Bhingar suburban of Ahmednagar. He had started from scratch and today is a trusted name in construction. He is a regular donor of milk to our Snehankur Project. 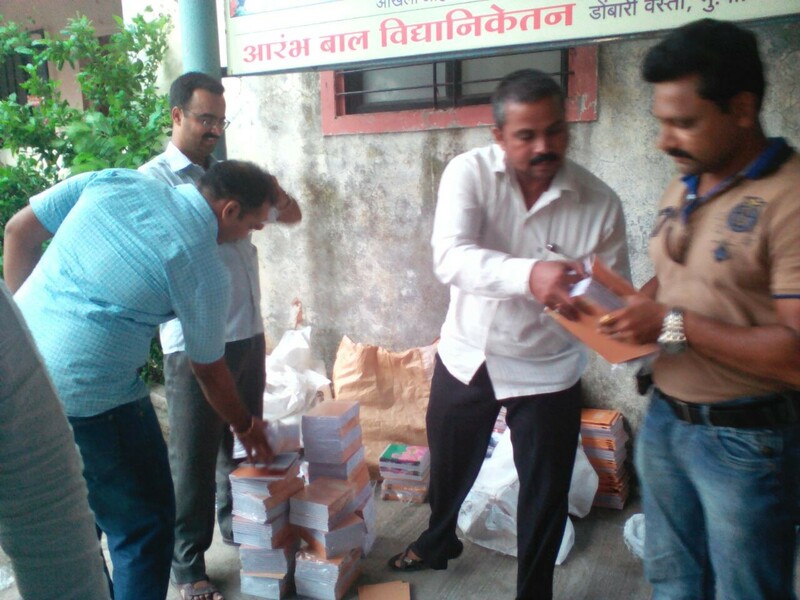 Yesterday, he came with his 30 like minded friends to Snehalaya, shown all the initiatives, then contributed 6 note books to each to our 300 students. He declared that all the birth dates and anniversories of all his friend circle will be celebrated in Snehalaya by shramadan and contributions in kind. 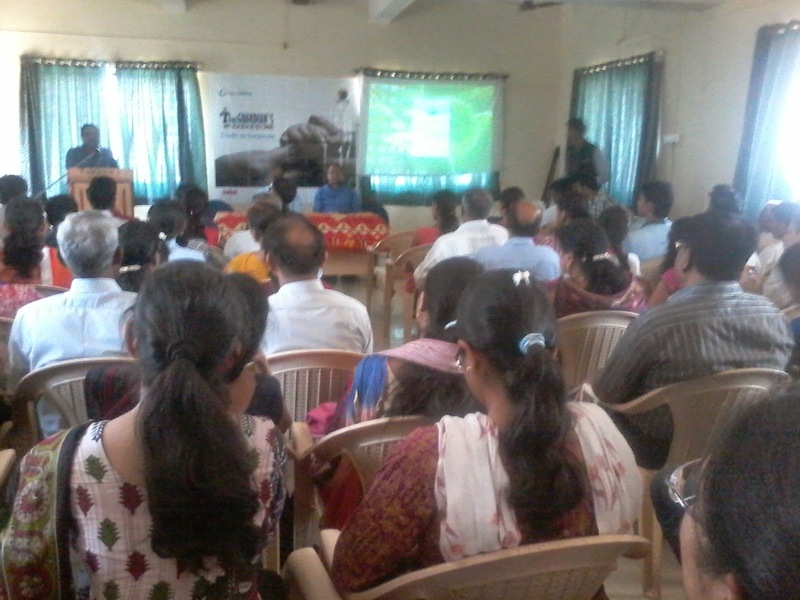 Also he assured to share educational material to students in Balbhavans. Rohit Pardeshi our volunteer has introduced Lokesh a year ago. Now Lokesh has connected like minded 30 families. This is an example how even an introduction of like minded friends benefits to our cause. Wishing all happy Father's day. Attached a photos of Babalu and Lokesh. You will be pleased to know that HSC (Higher Secondary SSC students of Snehalaya, have done us a great pride by posting excellent results this year. Please read the below report for details. We take this opportunity to thank all our respected donors and well-wishers from all corners for their continuous support. We owe and dedicate this success to all of you. We are feeling very happy and proud to share our HSC and SSC students results of the academic year 2014-15 with all our well-wishers. Snehalaya is running several projects including Rehabilitation Center for children in red light areas and HIV postive kids and Balbahvan for slum children. 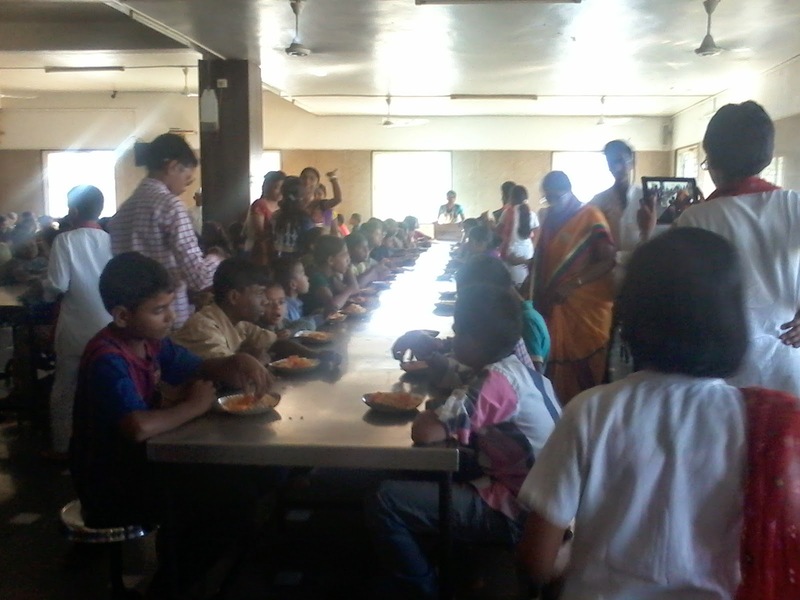 This year 6 students for HSC and 34 studetns for SSC from Rehab. 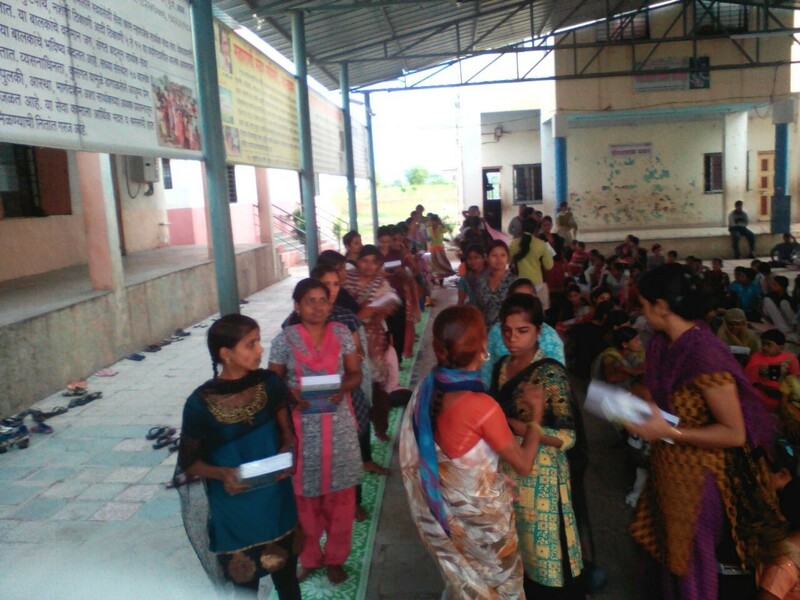 Center were appeared at the same time 44 students for HSC and 71 students for SSC from Balbhavan were appeared. All out of 155 , 135 students have posted highly impressive results. . It is noteworthy that the students with HIV/AIDs & having very poor economic background of their family who had appeared for the HSC and SSC exam this year have secured first class by overcoming all their problems in day today life. Our students had special support and guidance from all the teaching and non-teaching and care giving staff especially Mr. Vaijnath Lohar, Hanif Tamboli etc. Our President, Secretary and all other trustees, well wishers and donors have congratulated the students for their glorious performance. As a part of Social belonging & awareness Shriramkrisna Urban Co-operative Credit Society donated table fans to Snehalaya.President of SUCC donated it & Snehalayas President Sanjay Gugle & Suwalal Singhavi accepted the same. 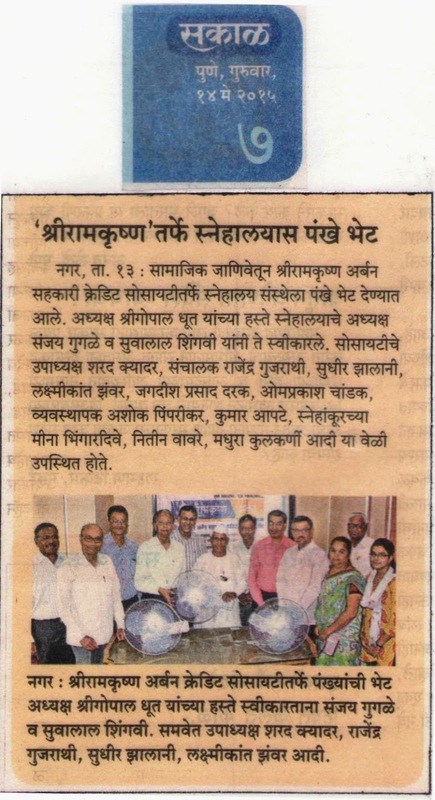 Laxmikant Zawar ,Jagdish Prasad Darak,Omprakash Chandak,Manager Ashok Pimparikar,Kumar Apte.Snehankur's Public Relation Officer Meena Bhingardive,Nitin Wawre,Madhura Kulkarni etc were present during the program of donation. Fund Raising on the occasion of 3 Marriages at Snehalaya. 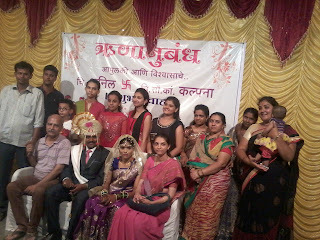 Marriage Ceremony at Snehalaya Generated Funs of Rs. .1,24,000. All such organisations were included during the ceremony.Various dignitories from all over the Maharashtra,who are involved in Social life activities were present for the ceremony.Mrs.Vidyashri Purandare from Dyanprabhodini organisation, Pune initiated the marriage ceremony.All the 3 couples got married by having intercast marriage,which proved as socially unique activity & gave the witness of Snehalayas social reformation efforts. Mr Anil Gawade is considered as a great supporting personality of Snehalaya since 20 years,he got married to Kalpana Gangadhar Chauhan.Kalpana is working as PSI depending on her own competencies & abilities. One of our Snehalayas daughter named as Sukanya got married to a trador named as Somnath Vaikar.Also one more daughter of Snehalaya named as Deepali Lande got married to Nilesh Shankar Chauhan.All the three couple insisted the guest & relatives to donate for all the above Social Organisations insted of offering some special gifts to them personally. All the guest & relatives present for the marriage ceremony was offered with some resource material containing the detail information about all the five social organisations. 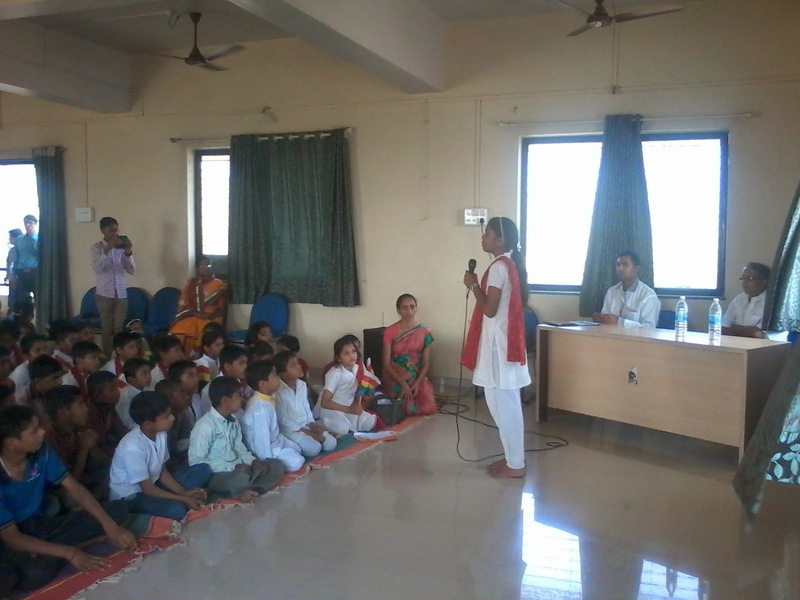 Visit of Anand Jain School to Snehalaya. It gives immense pleasure to Share with you all that yesterday on the eve of Lord Mahavira Birth Anniversary Anand Jain School from Vardhamaan Jain Shavak Sangha (Rahata) visited Snehalaya under Bapujis guidance. On this special occasion students from the school performed some devotional,Cultural events & gave speech.Devendraji Munoot & Sunitaji Jain Guided the students during the program.Also some teachers like Sonali Munoot & Badatai Munoot coordinated them. Rameshchandraji Sand (Sr.Shravak) of the Sangha was present on dies with Bapuji,Snehalayas patron.They expressed their valuable thoughts & guided the kids.The program was conducted at Alliance hall,there was great attendance of children & Snehalayas Staff.After the event distribution of Sweets was carried out at Dinning hall of Snehalaya & Donation was given in PRO dept. Sunitaji Jain carried out anchoring & Ms.Chitra gave vote of thanks. Assam Girl Rescued From Pune. A 17 years minor girl trafficked from Dhumbri village, Baksa dist. in Assam was rescued from Pune by Ahmednagar Childline and Snehalaya on 1st April,2015. A girl was moved to Delhi with her 21 yrs. old elder brother of in search of bread and butter. They both were staying in Noida with the help of distant relatives. Hilarus, a brother got a job in Automobile shop and moved to Ahmednagar in November 2014. Relatives informed that a girl was absconded from 1 st Jan. 2015. The brother was searching her in Assam and Delhi region. Last week, Hilarus received a call by her sister. She told that she was locked in one home where she has to do all the house work. The number of Mr. Tejpreet Singh from Pune who brought her to Pune from Delhi. Hilarus shared his story to Mr. Satnam singh, his employer who migrated from Delhi to Ahmednagar. Mr. Satnam Singh approached to Ahmednagar Childline & Snehalaya with this complaints. Mr. Amar Madhyan, the volunteer of Snehalaya, Alim Pathan (a team member of Childline) & others went to Pune with Hilarus. Our team called Mr. Tejpreet singh and asked about the girl. But he said that he had given 37,000/- rupees to Sanjeevkumar from Delhi who supplied this minor girl to them. Tejpreet singh clearly told that he will not talk to any other but only Mr. Sanjeevkumar. Then our team has approached to Mrs. Neeta Misal, the P.I. of social security cell of Police department in Pune. A girl was rescued from flat no. 504 , B-1, Roje Parade, Kondhwa, Pune. The legal work is going on. 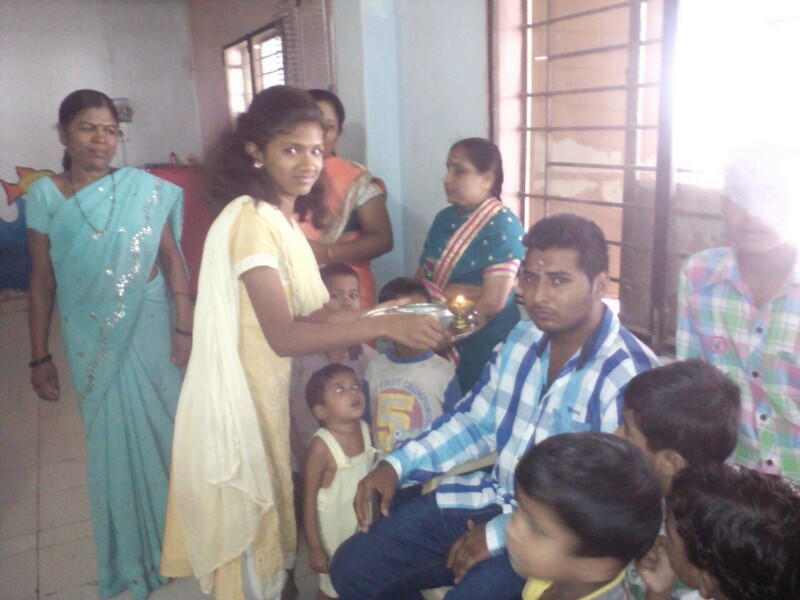 The rescued girl and her brother came to Snehalaya today to express their gratitude.